RAW Classic is chlorine free and is processed in an eco-friendly manner. The result is a very thin light brown paper that burns extra slow and extra clean. It uses proprietary crisscross run-preventing watermark. It is a clean tasting smoke that is best described as natural, light and pure. 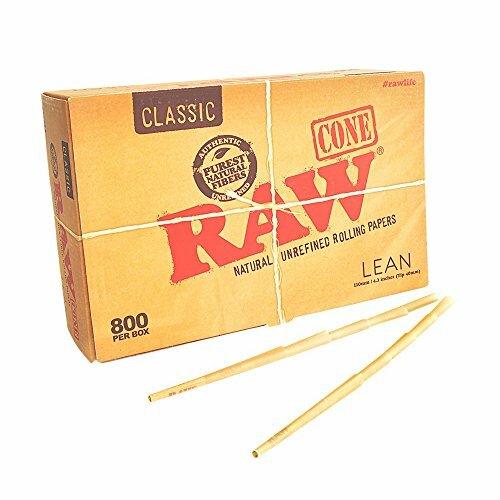 These RAW cones save you time because they come pre-rolled, so you get the cone properties without taking time to roll it. They are perfect for people who don't know how to hand-roll as well as for experienced tobacco lovers who like to optimize their time. They are the ultimate convenience in rolling because you only need to fill them up with whatever you like to smoke, twist off the end and light up.